It’s not every day that a rocket scientist becomes a cattleman, but that’s the exact path of Dr. Fredric H. Clark. Born in a sleepy little town in northeast Arkansas, Clark grew up as the middle child of three. Clark’s father, who served in WWII under General George Patton, had post-traumatic stress disorder and disappeared after returning from the war. Clark’s mother, a teacher, struggled to raise her children to be hard working, highly valued individuals. Times were tough and things didn’t come easy. Clark’s uncle, Toby, an Arkansas farmer, became his mentor. Clark spent his evenings, weekends and summers following Toby, learning about farming and developing an undeniable love for the land. This is where Clark’s passion for agriculture was born. Because of Clark’s strong Christian faith and his belief in American ingenuity, this event had a major influence on his life. He decided he was going to be an electrical engineer and work in the U.S. space program. Fresh out of college, Clark joined the U.S. space team just after the deaths of the Apollo 4 astronauts by working for the IBM Corporation. He served the U.S. space program through the Apollo and Saturn programs, including all of the moon landings and the Skylab program. When IBM closed their Huntsville, AL, office, Clark was promoted and given the opportunity to move anywhere that IBM had a permanent location. Clark had grown to love the Huntsville area and was raising two young children and believed the area to be the family’s permanent home. Clark and a partner launched a new company, called CAS, Inc., specializing in radar and missile systems design. In 1988, Clark purchased a tract of land; a beautiful valley nestled in the hills of Tennessee, primarily for recreation and hunting. As time passed, a commercial beef herd was started to utilize the grass that grew on the valley’s rolling hills. It wasn’t enough for Clark just to own cattle; he wanted to own elite cattle. “It costs the same to feed a great one as it does to feed an average one,” he was known to say, and his philosophy has not changed. 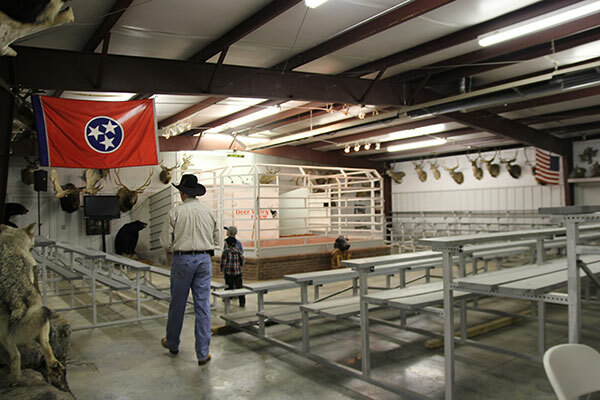 The plan was to show and exhibit Limousin cattle at state and local shows. At the time, most of the value in the Limousin breed was in the show ring; so we built a herd that could compete there. We were fortunate enough to win many shows around the country, and at one time, had as many as five national champions simultaneously. 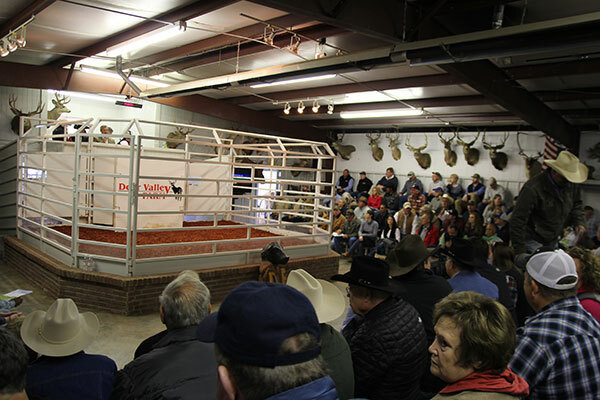 Deer Valley exhibited the National Champion Carload in Denver and raised and sold many females that won several major shows across the country. As the business became more production-oriented, it became apparent that a change needed to be made. As we looked at what was happening, we realized that our competition wasn’t other Limousin breeders, but the Angus breed. The power of a black hide was growing. 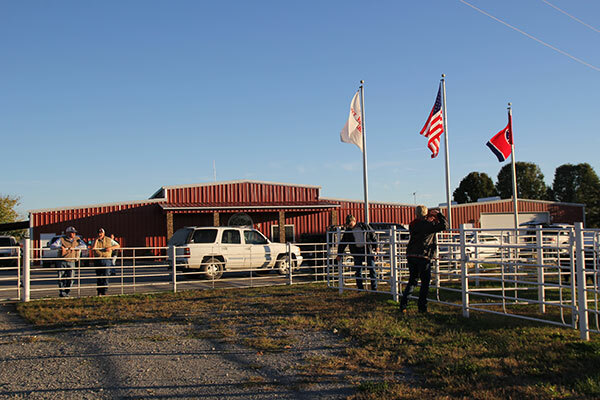 Deer Valley Farm also wanted to provide customers with another alternative for their crossbreeding programs. That made an easy decision – join the industry’s No. 1 breed. In spring 2005, the first Angus females were acquired from prestigious programs around the country. Genetically, they represented superior AI sires in multiple generations of their pedigrees and maintained that powerful, yet feminine look we believe Angus cattle must have. We put together a base of Angus females that any breeder would be proud of. We studied the most elite cow families and soon bought an entire herd of Angus females representing many prospective cow families. After acquiring this herd, we began adding to our Angus herd from several of the breed’s premier programs. In 2006, Clark and his partner sold CAS. Not willing to sit idle, Clark focused on growing his farm. The Clarks sold their Alabama home and made Deer Valley Farm their permanent residence, returning Clark to his childhood farming roots. Today, we run close to 2,500 head of the most progressive Angus cattle. Deer Valley is home to some of the most prominent Angus donor females and one of the most innovative young herd sire batteries in the business. Deer Valley Farm is a fully integrated operation that is fortunate enough to grow the majority of everything we feed. We operate on approximately 5,500 acres of land and we farm hay, corn, and soybeans on 1,500-2,000 acres. With primarily river bottomland, we utilize minimal till and rotational farming practices to improve the land and minimize erosion and topsoil loss. We have positioned our program around raising commercial bulls for the progressive commercial producer, and we have always believed that a breeding program’s success lies in the depth of their cow power and the strength of their cow families. For this reason, you will continue to see Deer Valley searching for that next great individual. Our mission is to raise superior seedstock that are outstanding in every segment of the industry. Looking back on Deer Valley Farm history, there is no doubt that it has been exciting. With our enthusiasm and love for our cattle, the future is bright at Deer Valley Farm.